I think it was fitting that Ash Wednesday and Valentine’s Day were the same day this year. We all think about Lent as a time of loss and sacrifice. It IS a time to remember the sacrifice that Jesus made for us, but this year I am reminded of the greatest love story that has ever been written. We can read about this amazing love in the Bible. It is all about God’s love for us. God loved us so much that He sacrificed His only Son, Jesus. God sent Jesus to die a horrific death, as a final sacrifice for US. I don’t deserve that kind of love. I am not worthy of that level of sacrifice. In my mind, I will never be good enough, but God says that I am. I am worthy. God knows that I am imperfect. He knows that I am a mess. He knows that I am broken beyond belief and He knows that on most days I am desperately hanging on to the hope that is found in Him. God knows all of this about me and yet He still sent His Son, Jesus, to die so that I may LIVE. That is what love is all about. 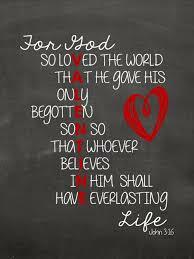 Valentine’s Day is now past, but Lent has just begun. I know Lent is usually about giving up something: candy, meat, soda, internet, etc. In the spirit of God’s love, why don’t we find a way to show love to those around us. Use this season to bring the love of God to the hurt and lonely. Make this the year you let someone know that they are worthy and loved. As you step out and love those around you, you will feel the love of God for you in a way that you never have before. For God so loved the world and this world needs more love. Our world is certainly in need of more love. Thanks for the post. It is always my goal to bring a little joy and encouragement to the world. Thanks for the comment!